1980 - Pioneer World opened for business (later known as Pioneer Village). 1980 - Kelmscott Park and Ride railway station (rebuilt with new bus terminal) opened in July by Cyril Rushton. 1980 - The Armadale Aquatic Centre opened on 20 December. 1980 - Cecil Andrews High School established. 1981 - First year of Pioneer Village School. 1982 - Country Women's Association celebrate new premises on Avonlee Rd. 1983 - Roleystone gets its own High School. 1983 - Armadale Aqua Slides (also known as the AquaTubes) open at the Armadale Aquatic Centre. 1984 - Armadale Shopping City opened (Stage 1). 1985 - The City of Armadale was proclaimed. 1985 - New Armadale Council Chambers and administrative offices. 1985 - McDonalds came to the City of Armadale - store built on Jull Street. 1986 - Fires at primary schools: Challis, Roleystone and later Armadale primary schools targeted by arsonists. 1987 - Minnawarra Park (Stage 1) developed. 1987 - A new Police station built between Jull Street and Prospect Road. 1987 - Relocation of the old Armadale School building and rebuilding of Congregational Church building at the Minnawarra Historic Precinct. 1988 - Brookdale liquid waste facility opened by Cleanaway, beginning a controversial era of community environmental protest. 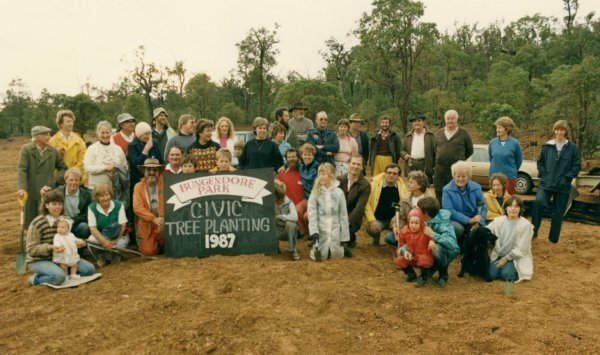 1988 - Bungendore Park official opening. 1988 - New Armadale Primary School built.